Thank you for your interest in the 2018 Cheer Camp Trip. While this campaign has ended, you can still make a donation to CSU Cheer Team by visiting www.supportcsu.org/give-today. Your gift will help support our trip to the 2018 Collegiate UCA Residential Camp this August at Eastern Tennessee University. 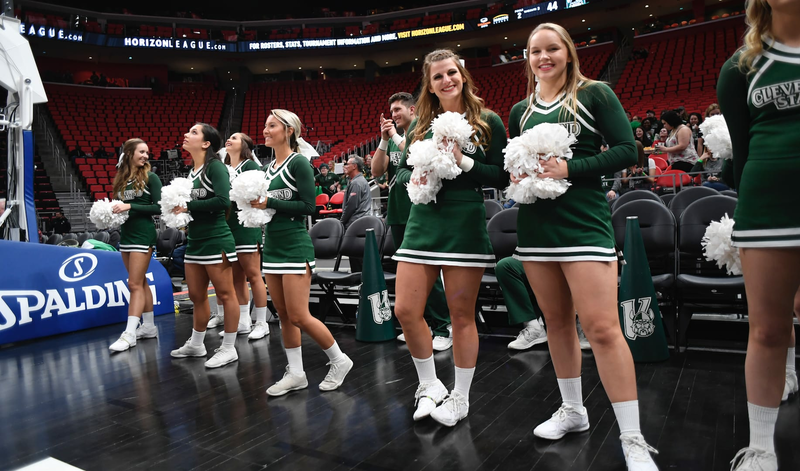 The goal of the Cleveland State University Cheerleading Team is to serve as ambassadors of intercollegiate athletics at Cleveland State University; to uphold, reflect and project the goals and ideals of the University; to inspire fans through spirit, leadership and character; to strive to be the best individual team and Viking possible. 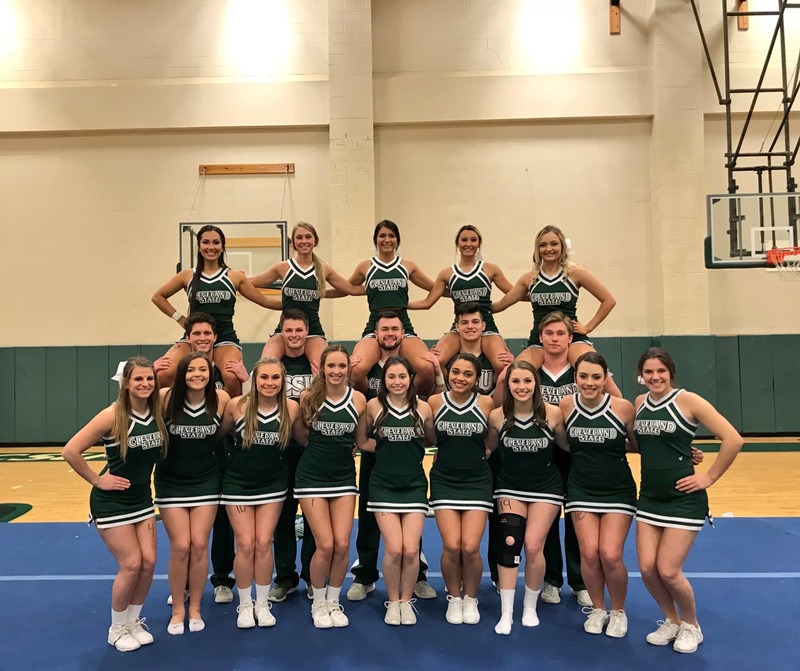 The Cleveland State University Cheerleading Team has not had the opportunity to attend a Collegiate UCA Residential Camp since 2014. Over the past two years under head coach, Shelly Prest, we have had the opportunity to do private home camps each year. Both years CSU Cheerleading has seen great success at these events and we wish to be able to continue down this path of success by participating at UCA Collegiate camp at Eastern Tennessee University this summer. Your gift will help the team to learn from some of the best instructors in the country as well as, experience and create memories that will last a lifetime. Your contribution will also help us offset the costs of transportation and registration fees. We could not be more grateful for this opportunity and we are extremely appreciative for all the support we have received and for the opportunity to represent Cleveland State University. This trip will not be possible without your generous donations. Thank you for supporting the Cleveland State University Cheerleading Program! Go Vikings! Your gift will cover the cost of one cheerleader's camp apparel including a camp T-shirt. Donations at this level will cover the costs of accessories for one of our cheerleaders including pom-poms, megaphones and ribbons. Your gift will cover the cost of a uniform for one of our cheerleaders. A gift at this level will help to cover the cost of food for our cheerleaders during the trip. Your gift will cover the full cost of transportation for one cheerleader. A gift at this level will cover the full cost of camp for one of our cheerleaders!